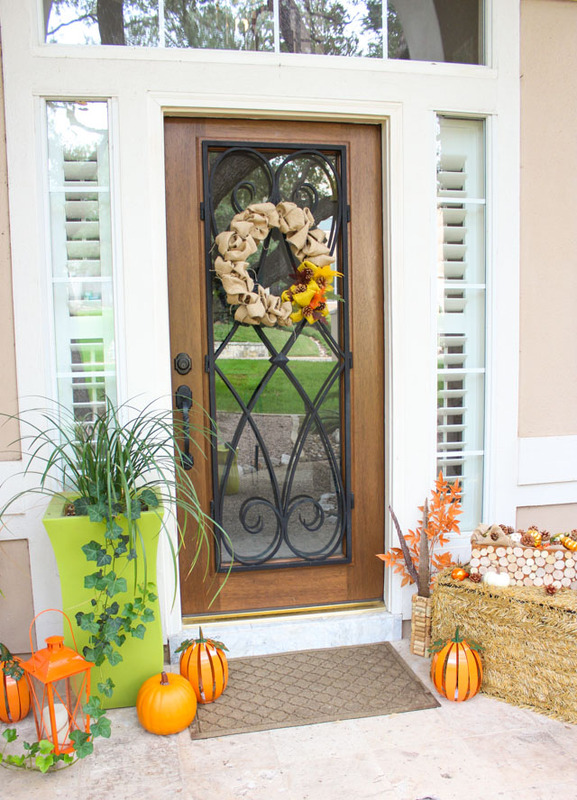 5 Steps to a Fabulous Fall Front Porch! When it comes to fall decorating, I always start at the front door. In fact, seeing a fall wreath, mums, and pumpkins displayed on neighborhood stoops is pretty much the only sign of fall here in San Antonio! I always look forward to cozying up my own front porch for fall, even if the temperatures outside still feel like summer. This year, I partnered with Oriental Trading to create a rustic front porch. 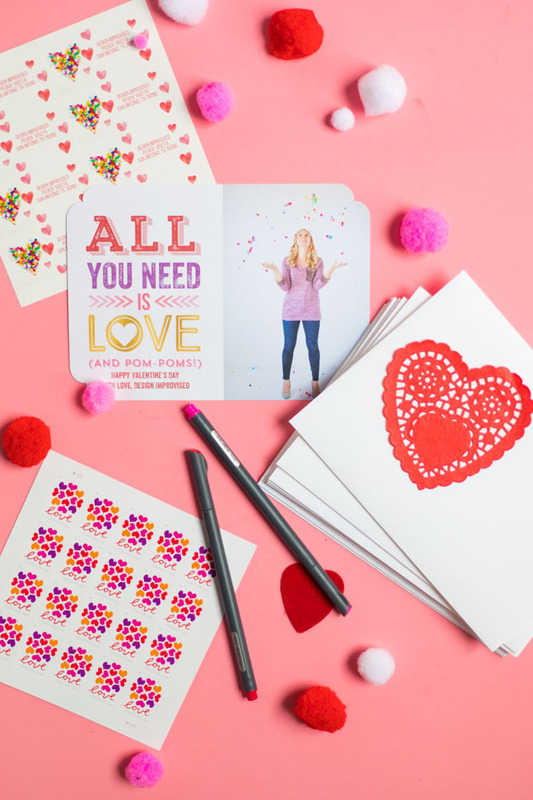 It came together easily thanks to a few key steps. 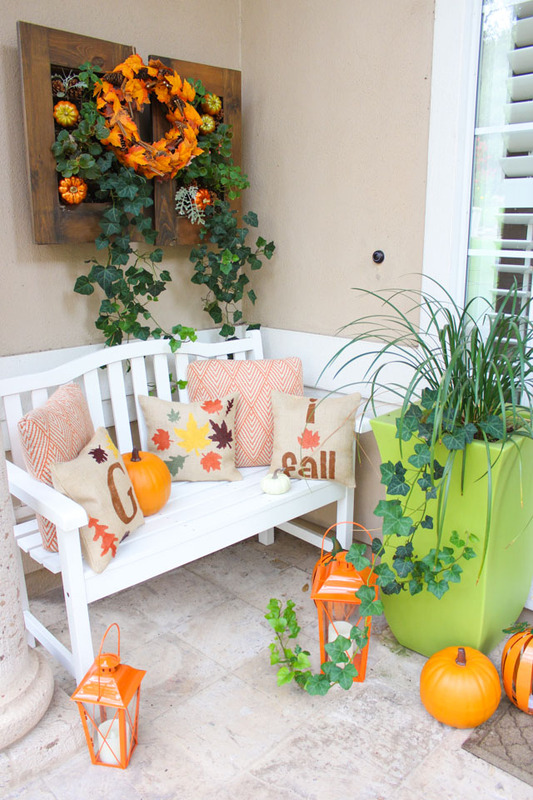 Read on to see how to apply my formula for a fabulous fall front porch to your own home! If you do only one thing to decorate, make it a wreath! 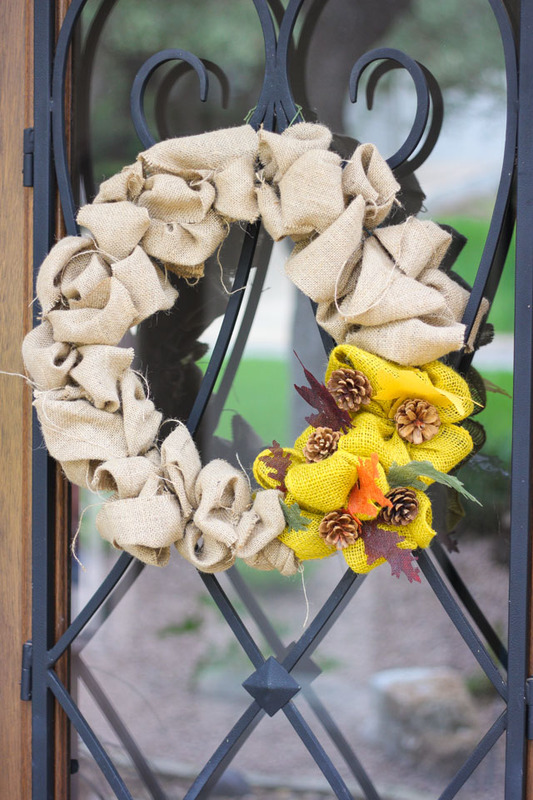 It is a guaranteed way to warm up your front door and add some major curb appeal. Be sure to choose a wreath that is large enough for the door and makes an impact from the street. 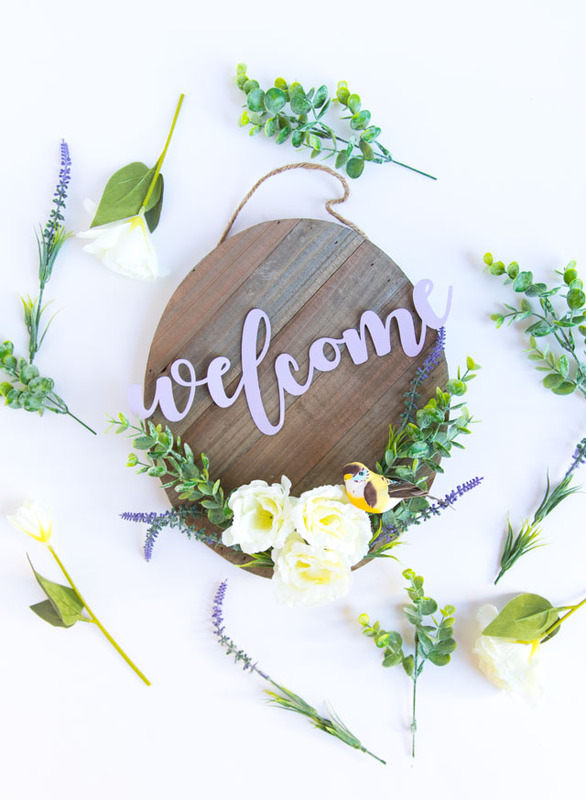 For fall, I am drawn towards wreaths with natural textures like this DIY fall burlap wreath (that you can make in under 30 minutes!). Other favorite wreaths I’ve used in the past include my 15 minute fall leaf wreath and my corn husk wreath. This may sound unnecessary, but I promise it works as an awesome centerpiece for your front porch display. You can find hay bales at your local garden center, but you can also go faux! This hay bale from Oriental Trading is actually collapsible so you can store it away and use it year after year. How cool is that? 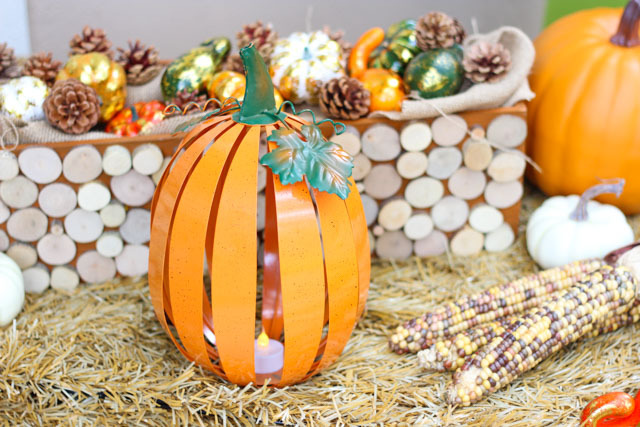 The hay bale provides a perfect surface for making a little vignette of pumpkins, gourds, mums, etc. 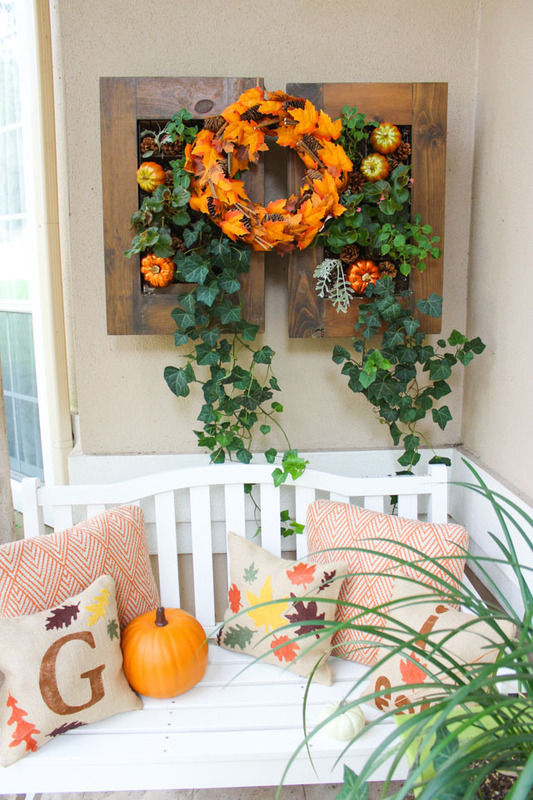 It helps provide some height to your front porch display rather than just placing a pile of pumpkins on the ground. 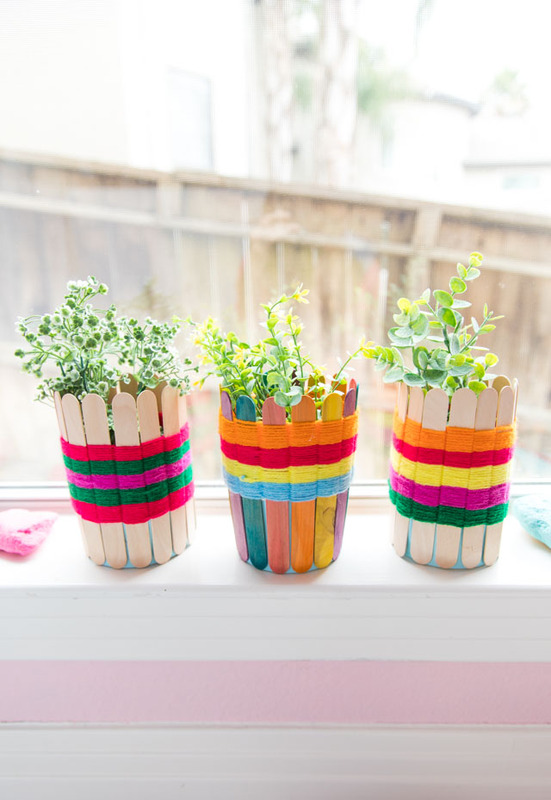 I topped mine with a DIY planter box that I had decorated with wood slices to give an extra rustic feel. I filled it with some burlap and topped it with faux pumpkins and pinecones. I am such a huge fan of going faux when it comes to pumpkins! While I love real pumpkins, they can be expensive, often as expensive as the artificial variety. Here in Texas the hot climate often means they can rot before the end of the fall season. 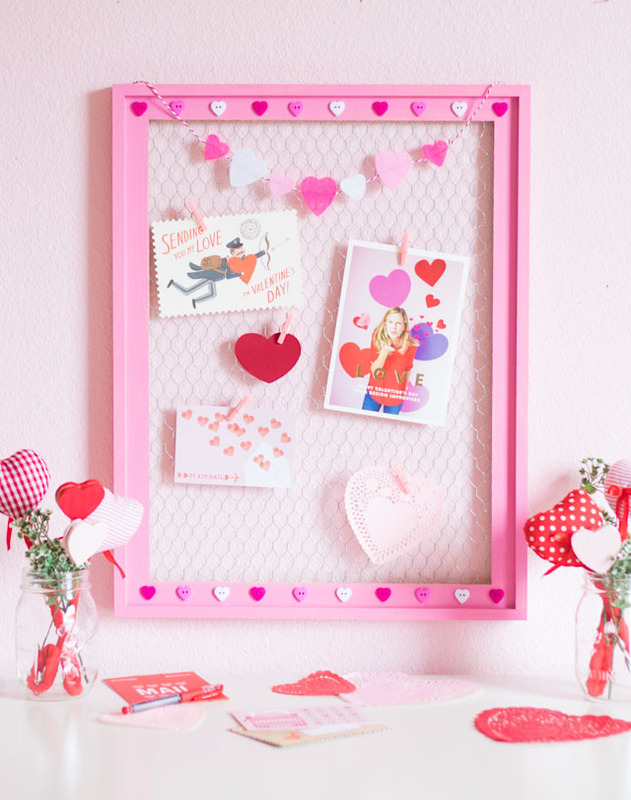 So why not replace some of your real ones with artificial ones that you can reuse year after year? These orange foam pumpkins from Oriental Trading look just as good as the real thing on my front porch. I also incorporated a variety of smaller metallic faux pumpkins in the planter boxes. 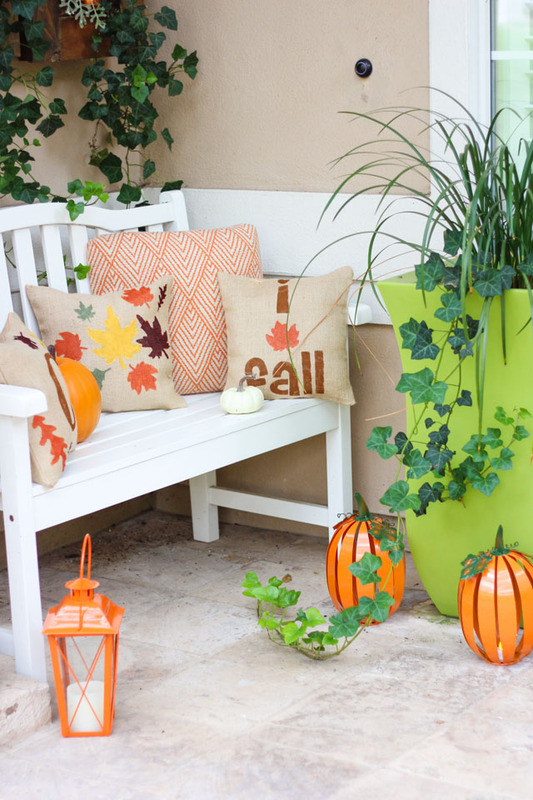 Adding a little place to sit and a festive pillow or two to your porch can make it instantly homey. If you already have a bench or seating area great, if not just set out a small chair or even a stool that can withstand the elements for the fall season. Prop a pillow on top and voila! Cozy front porch done! These DIY no-sew burlap pillows were lots of fun to make and were a simple way to transition my existing outdoor pillows for fall. Candlelight is always a nice touch. But you don’t have to have a jack-o-lantern carved to create that nice glow. Incorporate a couple battery operated lanterns into your display like these cute pumpkin tea light holders. They will make your front porch look just as welcoming at night as it does during the day! 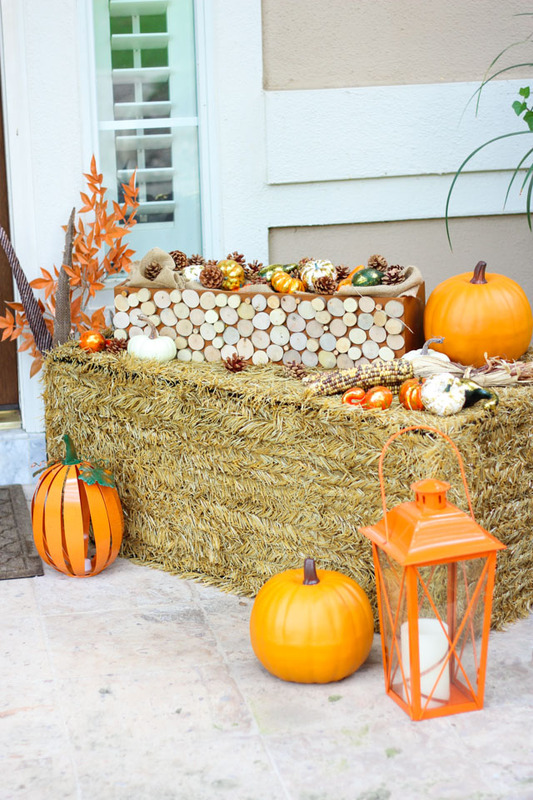 Head to Oriental Trading’s Fun 365 site for all the details of my rustic fall front porch including step-by-step tutorials and supply lists!